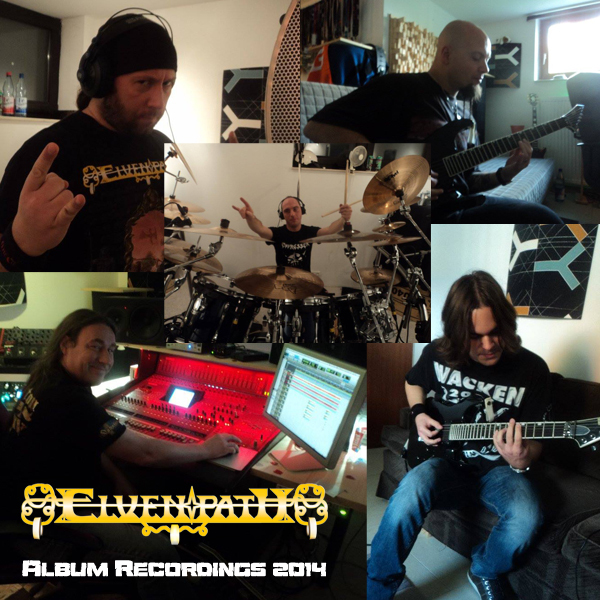 The recordings for our third Album finally have almost come to an End. After spending three weeks in a row, only small bits of the vocals and the bass are still missing. It is produced by Uwe Lulis, you should be familiar with his past work – he made the performances sound really great. And believe us: it will be a great Album! The releasedate is already scheduled for March 14th, 2015. On this very special day, we will play a show in Flörsheim at the Moshpit-Club in order to promote the new Album. Also keep checking the Tour section for more future updates. Two New Shows for 2015! 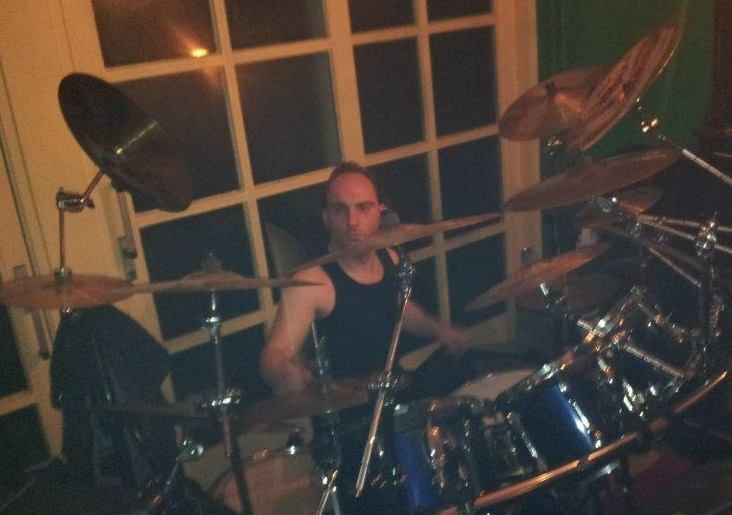 Ladies and gentlemen, please welcome our new drummer Manuel Appel. From now on, he will pound the Elvendrums when we go into battle and we’re very happy to have him aboard. You’ll be able to hear him live and on record soon! Two more Gigs for 2014! There are two more gigs for this year. Please take a look at the Tour-schedule. The first one (18.10.2014), will be in Lampertheim , alongside with Illusoria , the second one in Mainz, featuring Un Tipo de Langustino on 24.10.2014. Sad news today. After almost two years of common fight on the fields of steel, Tom decided to part ways with Elvenpath to pursue new musical aims. We’re splitting on friendly terms and wish him all the best for his future adventures. Rock on, Homeboy . 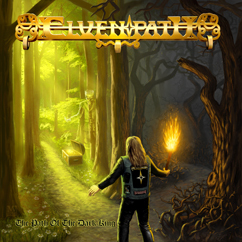 So this means Elvenpath is in need of a new drummer. If you think you’re the one for the job, don’t hesitate to get in touch. The world needs more Metal and we have a lot to deliver. Horns up, the path must continue! The Band is doing well. Right now, they are working on some brand new tracks. The band will enter the recording studio this fall for the 3rd studio album! So be prepared! 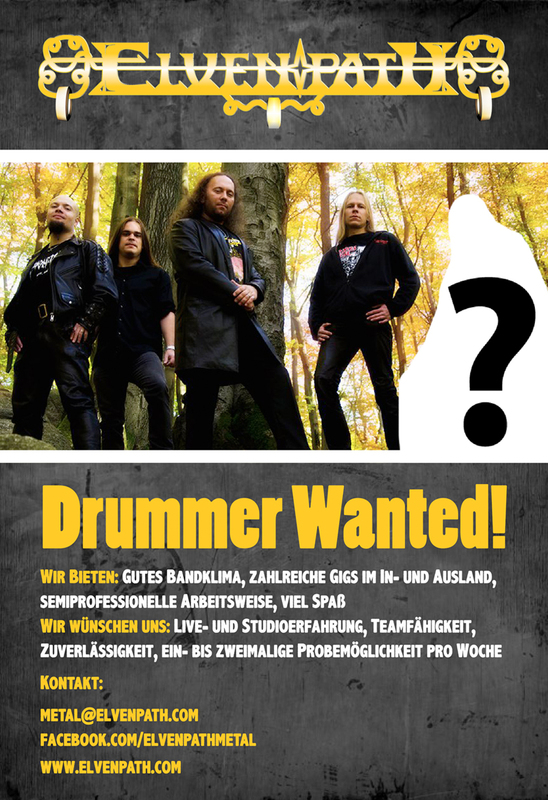 Sadly we must announce that the upcoming show in Schlüchtern with K.I.T. and Daggerfall was cancelled by the promoter for reasons unknown to us. 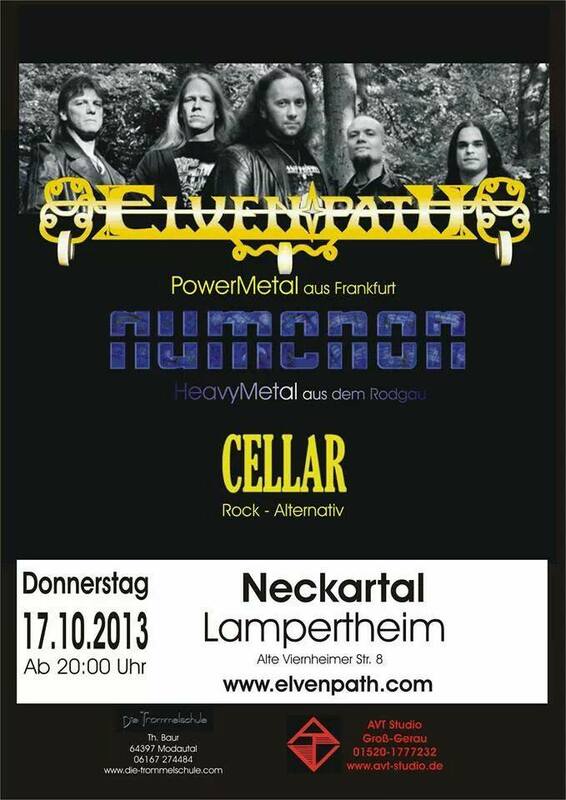 Therefore you have only one more chance to catch Elvenpath live this year: This will be at the Goldene Krone in Darmstadt on Nov. 29th, the other bands on the bill will be Illusoria and Seductive Enigma. See you there! Tour with Skyclad starts this Friday! 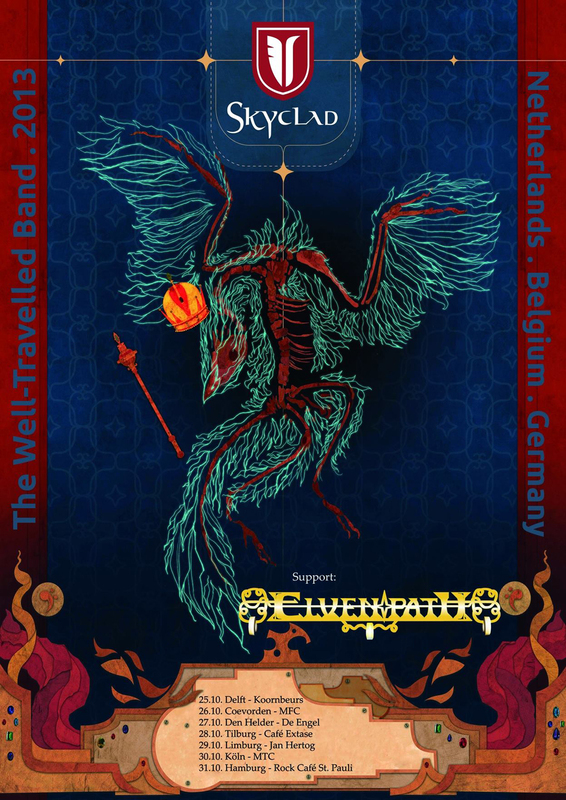 This Friday, our tour with the legendary british folk-metal-pioneers Skyclad will start. It will be one week full of heavy-metal. We’re really looking forward to all of the concerts and we also hope to you see all again on the road! There’s always time to have a beer or talk with us after the show! You find all the dates on the official flyer posted below. Heartfelt thanks and efcharisto to the Hellenic Metal maniacs who attended the Up The Hammers festival and made our time in Greece so fine! We had a great time and hope to be back one day. After all the recent travels it’s about time for another show a little closer to home. Just three more days and we’ll hit the stage again in Lampertheim. 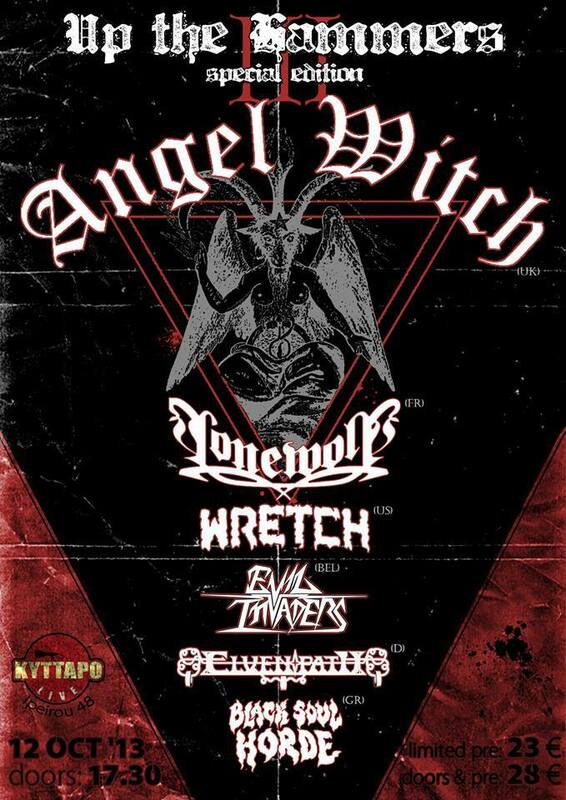 In exactly one week (October 12th), Elvenpath will be performing a show at the legendary Up The Hammers-Festival in Athens, Greece. We’re really looking forward to that Event. See you there!